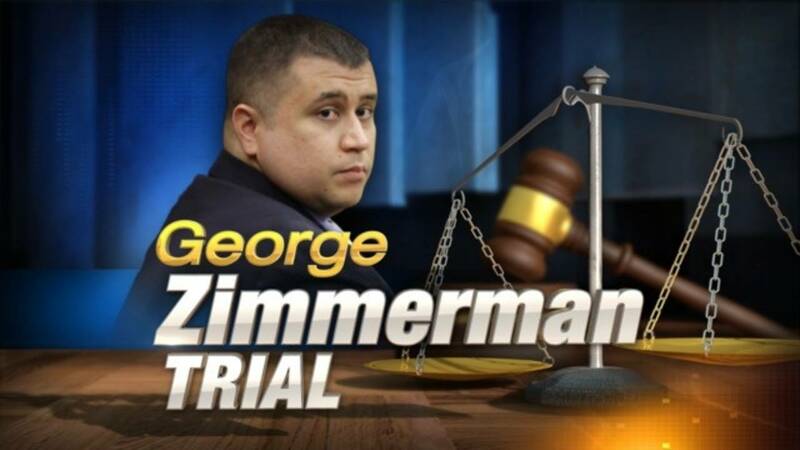 Local 6 has compiled the more than two dozen state witnesses called in the second-degree murder trial for George Zimmerman, who is charged with shooting and killing 17-year-old Trayvon Martin. 1. Chad Joseph testified on Day 1 of the trial, June 24. 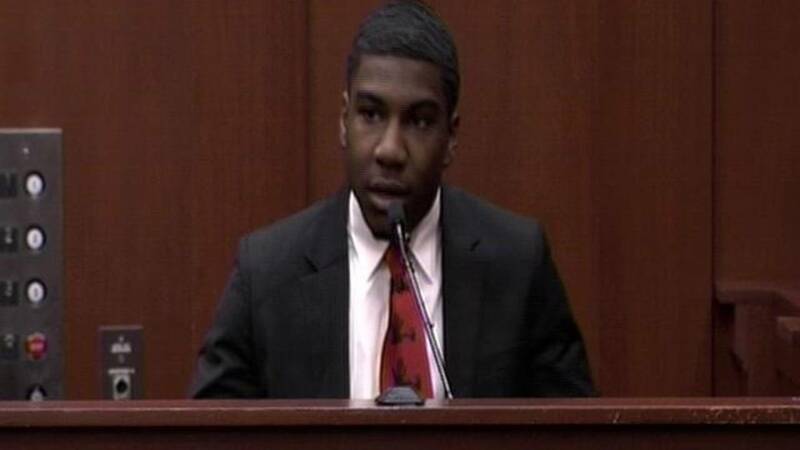 The 15-year-old was the last one to spend time with Trayvon Martin before George Zimmerman killed him Feb. 26, 2012. He said the two teens played PlayStation 3 and watched TV before Martin left walking to a nearby 7-Eleven to buy him Skittles. 2. Andrew Gaugh testified June 24. The 7-Eleven clerk who saw Martin buying Skittles and an Arizona brand watermelon fruit juice. 3. Sean Noffke testified June 24. 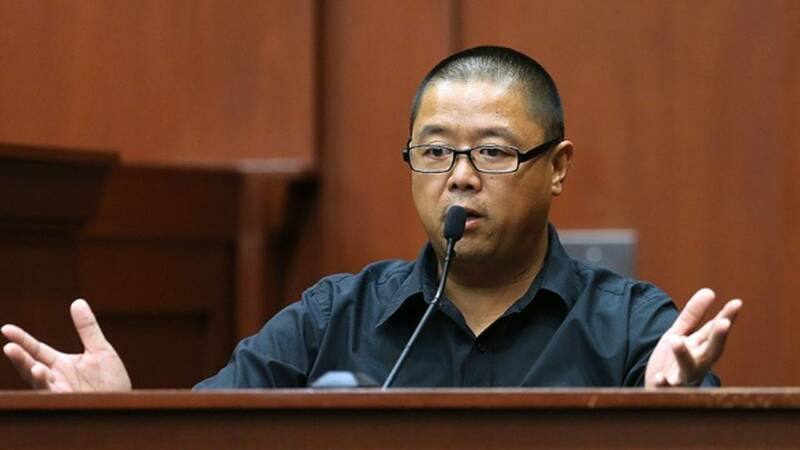 He was the 911 dispatcher who answered Zimmerman's non-emergency call on Feb. 26, 2012. 4. 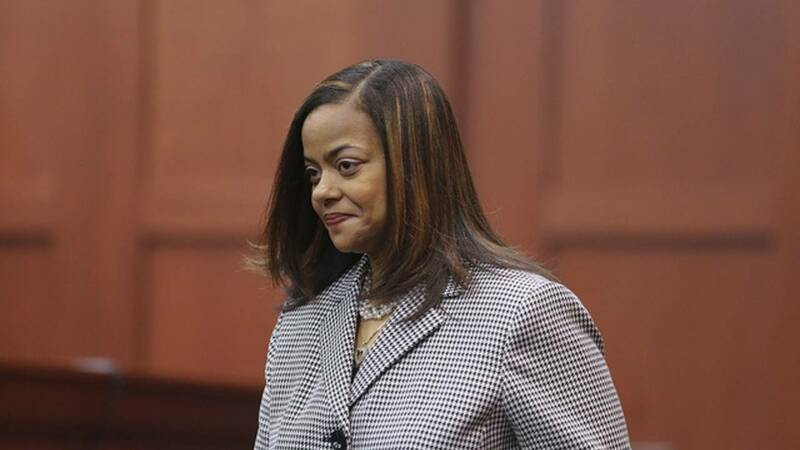 Ramona Rumph testified June 26, and helped Assistant State Attorney Richard Mantei introduce five calls that Zimmerman made before the Feb. 26, 2012 call. 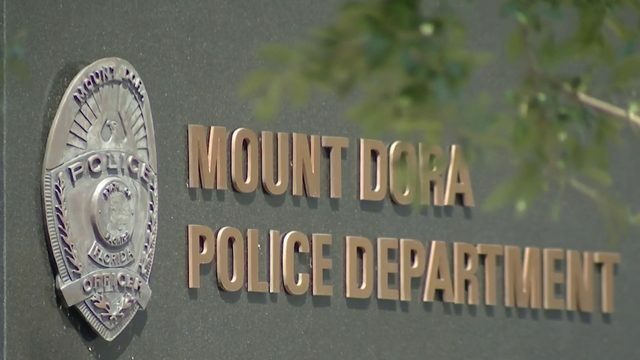 The non-emergency calls were to alert police about suspicious people that the crime watch volunteer had spotted in the neighborhood. Rumph is Seminole County Sheriff's Office communications manager. 5. Don O'Brien testified June 25. O'Brien is the president of homeowners association of The Retreat at Twin Lakes neighborhood. He said it was his understanding that neighborhood watch volunteers never followed suspects. 6. Wendy Dorival testified June 25. She is the Sanford Police Department's Neighborhood Crime Watch volunteer coordinator. She is also a crime prevention practitioner and said that when she trains volunteers she tells them to stay away from suspects and to notify police. 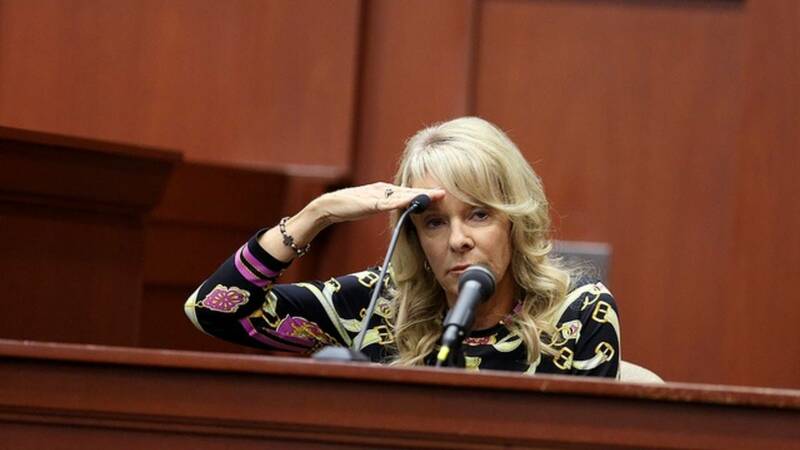 During her testimony, she said Zimmerman was eager to serve his community. 7. Sgt. 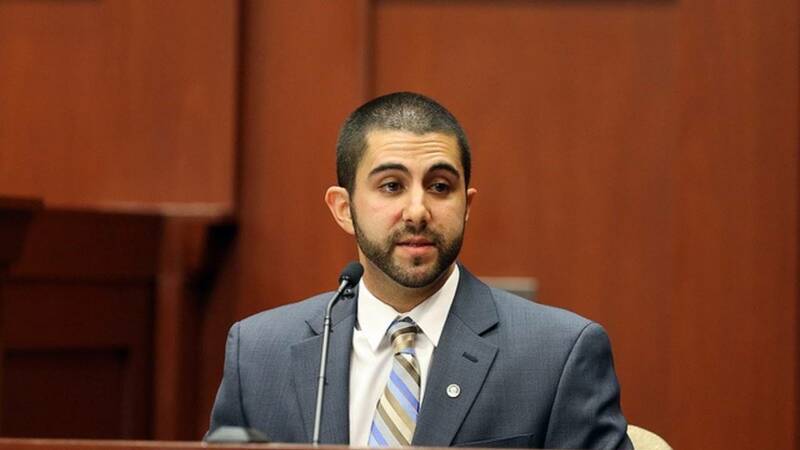 Anthony Raimondo testified June 25. the Sanford Police officer who tried to revive Martin by performing CPR. Raimondo served as a U.S. Marine. 8. 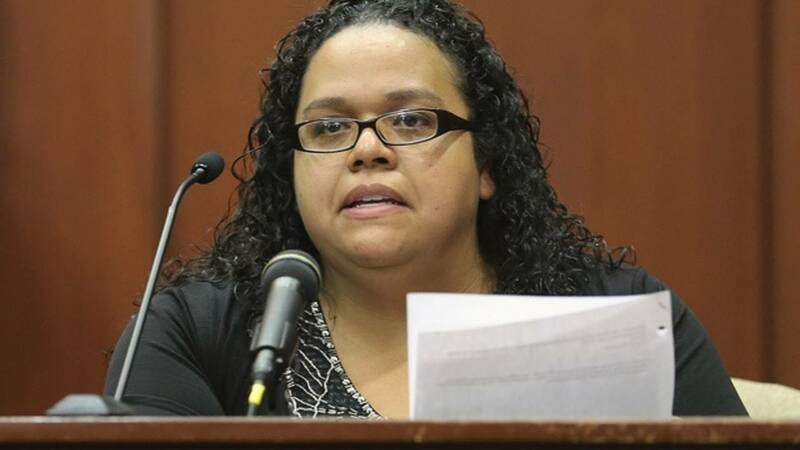 Diana Smith: Sanford Police Department Crime scene technician Diana Smith testified June 25. Attorneys asked her to identify the Feb. 26, 2012 evidence collected. Witness Selene Bahadoor Tuesday, June 25. 9. Selene Bahadoor testified on June 25. She lived at the Retreat at Twin Lakes in Sanford when Martin died. She was in the kitchen when she heard noise that sounded like a movement from "left to right," she said. She also said she saw two people "flailing" their arms, heard a gunshot and then saw a body facing down on the grass. Defense attorneys pointed out she liked a Change.org petition related to the case. 10. Jayne Surdyka testified on June 26. She also lived at the Retreat at Twin Lakes when the shooting occurred. She said she heard two voices-- the low-pitched voice, she believes, was Martin. She was distraught on the stand as she listened to herself on a 911 call recording reporting the shooting. 11. Jeannee Manalo testified on June 26. She lived at the Retreat at Twin Lakes with her husband and daughter during the shooting. She said she was watching TV when she heard a loud noise. Her husband told her to "mind her own business." When they heard a gunshot, her husband went outside. 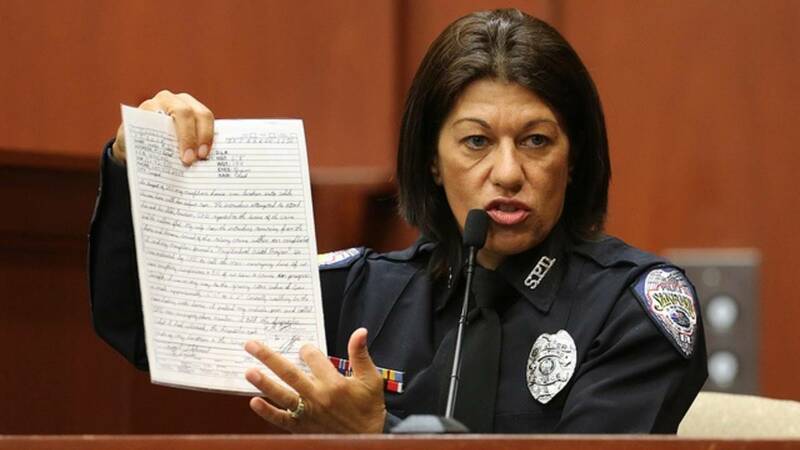 She said she saw two shadows and the side of Zimmerman's face. 12. 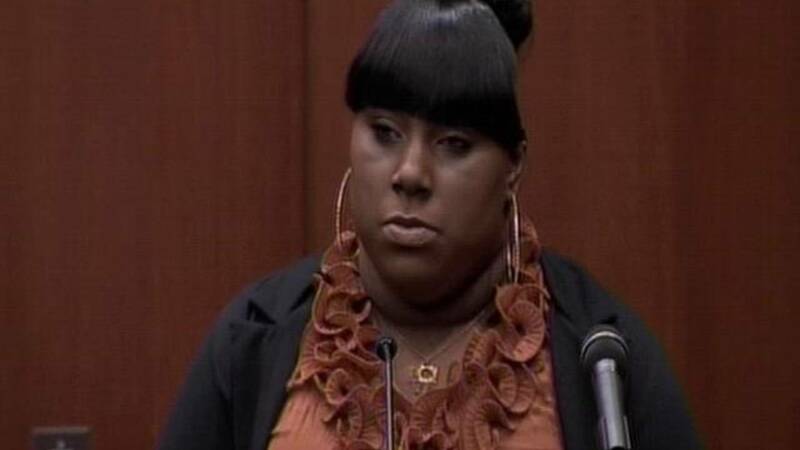 Rachel Jeantel testified on June 26-27 for nearly eight hours. Jeantel is a 19-year-old Miami Gardens high school student who was the last one to talk to Martin on the phone the night of the shooting. During testimony, she described how he ran away from someone who was following him. Defense attorney Don West said her statements were inconsistent. 13. Raymond MacDonald testified on June 27. He is a senior manager at T-Mobile and talked about the way calls are archived from phones. 14. Jenna Lauer testified on June 27. Lauer was a resident at The Retreat at Twin Lakes neighborhood. 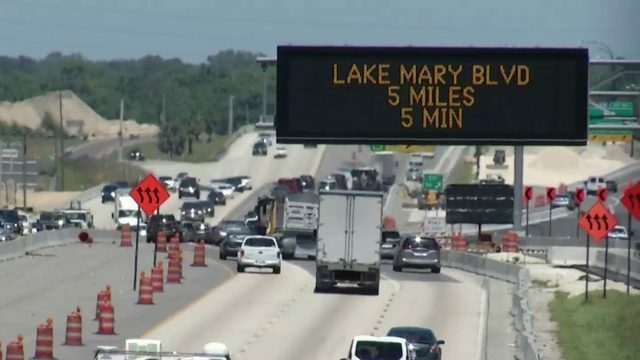 The recording of the 911 call she made the night of the fatal shooting captured the screams that upset one of the jurors and prompted the exit of Martin's mother from the courtroom. 15. Selma Mora testified on June 27. She was a resident at The Retreat at Twin Lakes neighborhood and requested an interpreter, as she only spoke Spanish. She said she heard a noise, walked out and saw a man on top of another. Defense attorney Mark O'Mara had her re-enact how she went outside to see what the noise was. 16. Greg McKinney testified on June 28. McKinney works in Information Technology and Services for the company contracted to run surveillance cameras at The Retreat at Twin Lakes. He said that two out of nine cameras were not working -- including the camera by the gate and that the time stamps were off by 18 minutes. 17. 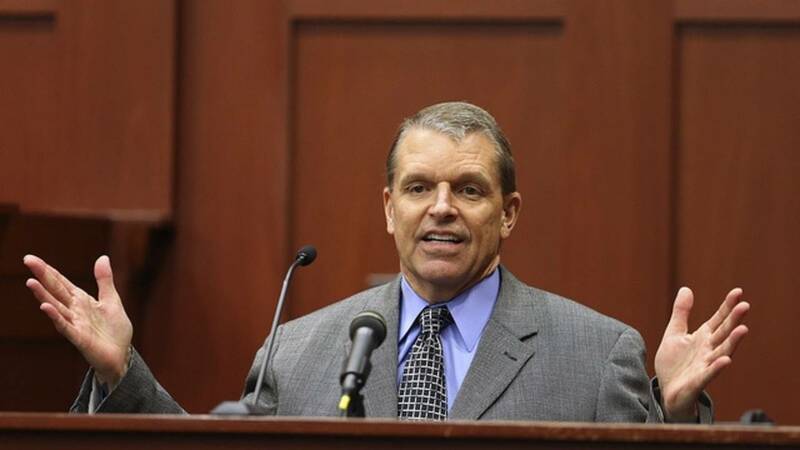 John Good testified on June 28 as the only eyewitness to the fight between Zimmerman and Martin. He said he was watching TV when he heard noises outside, stepped out of his townhome and saw two people on the ground. 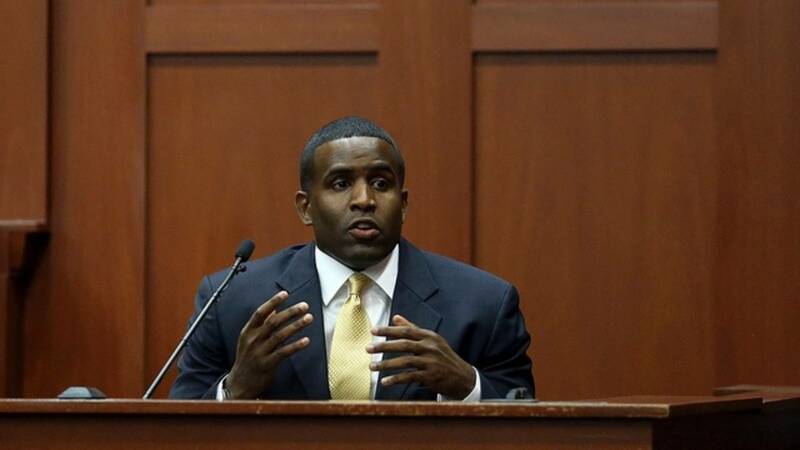 He testified that he believed Martin was on top of Zimmerman. 18. Jonathan Manalo testified on June 28. His wife testified earlier in the trial. 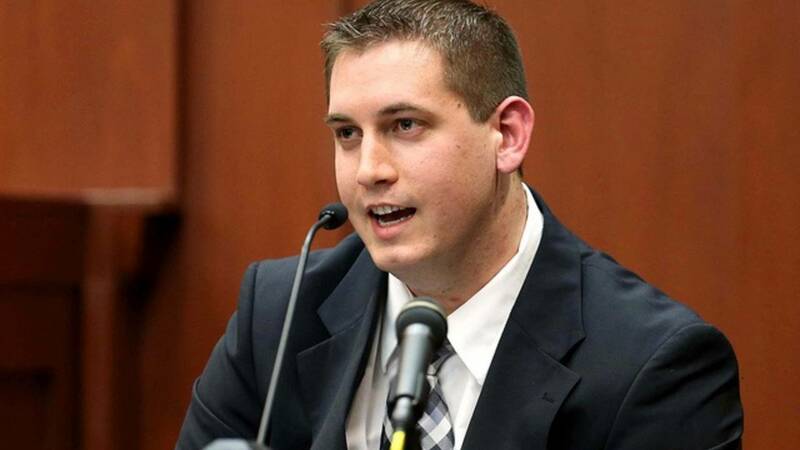 He was the first to approach Zimmerman after the shooting and described Zimmerman's behavior that night. 19. Ricardo Ayala testified on June 28. Ayala is a Sanford Police Department officer who helped another officer perform CPR on Martin. 20. Stacey Livingston testified on June 28. She worked for Sanford Fire Department and was at the scene when Martin was pronounced dead. 21. Timothy Smith testified on June 28. Smith is a Sanford Police Department officer and was the first to arrive at the crime scene Feb. 26, 2012. 22. Lindzee Folgate testified on June 28. 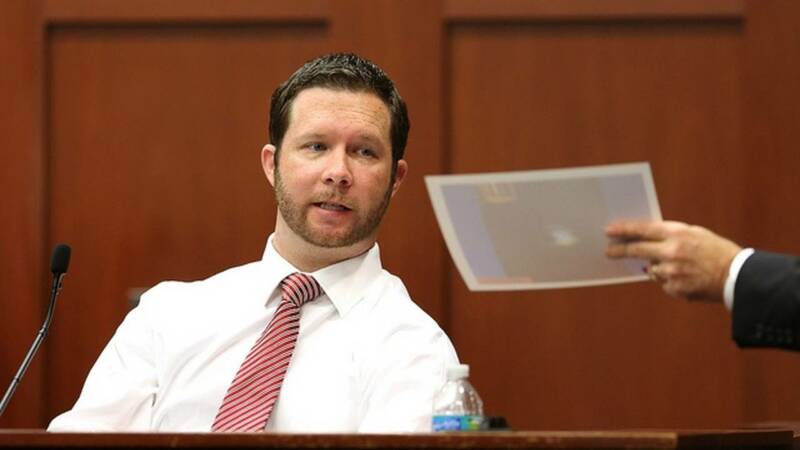 Folgate is a physician assistant at the Altamonte Family Practice and examined Zimmerman a day after the fatal shooting. 23. Hirotaka Nakasone testified on July 1. He is assigned to the operational technology division of the FBI and is an expert on voice recognition systems. 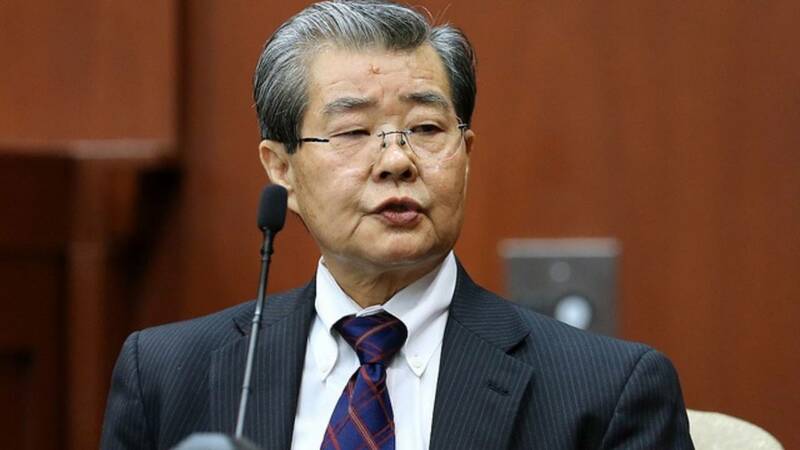 Nakasone previously testified at Frye hearings leading up to the trial, which determined testimony of two state audio voice experts would not be admissible at trial. 24. Doris Singleton testified on July 1. 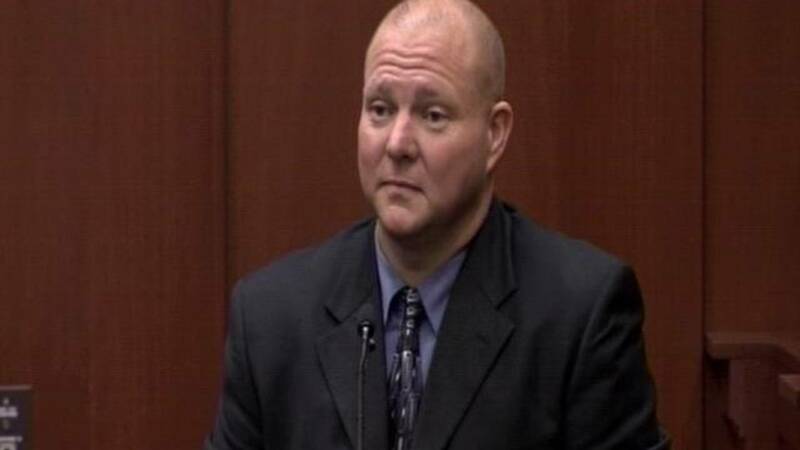 Singleton is the Sanford police officer who interviewed Zimmerman at the police station after the fatal shooting. 25. Chris Serino testified on July 1-2. Serino was the lead investigator for Sanford Police Department into Martin's death. 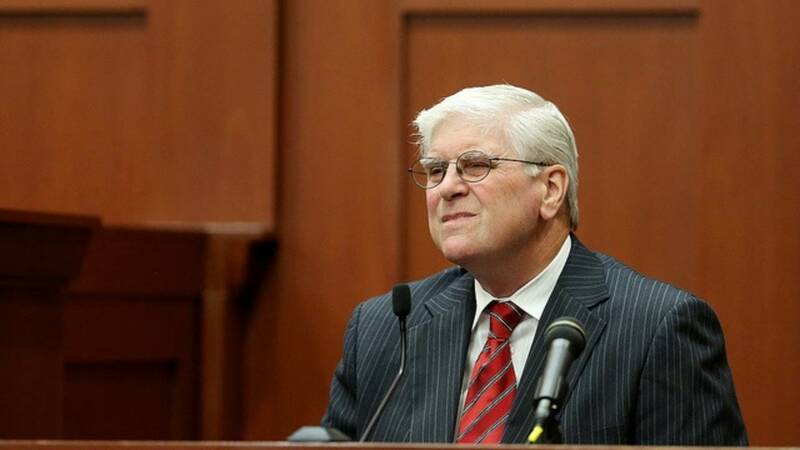 He recommended a manslaughter charge for Zimmerman when his department wouldn't arrest Zimmerman. 26. Mark Osterman testified on July 2. Osterman is a friend of Zimmerman's who wrote a book trying to defend Zimmerman, calling him "the best friend I ever had." 27. Dr. Valerie Rao testified on July 2. 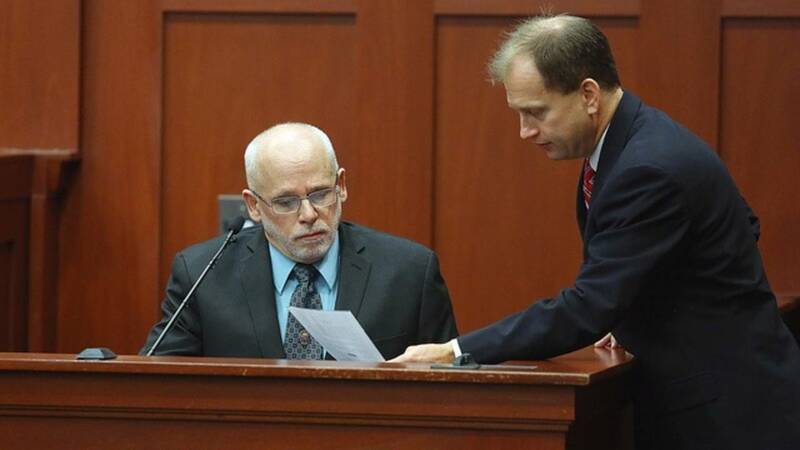 Rao testified as a state medical examiner expert and analyzed Zimmerman's reenactment video, medical records, photos and Martin's autopsy report although she didn't complete the autopsy. Rao said Zimmerman's injuries were "minor" and "very insignificant." 28. Kristin Benson testified on July 2. 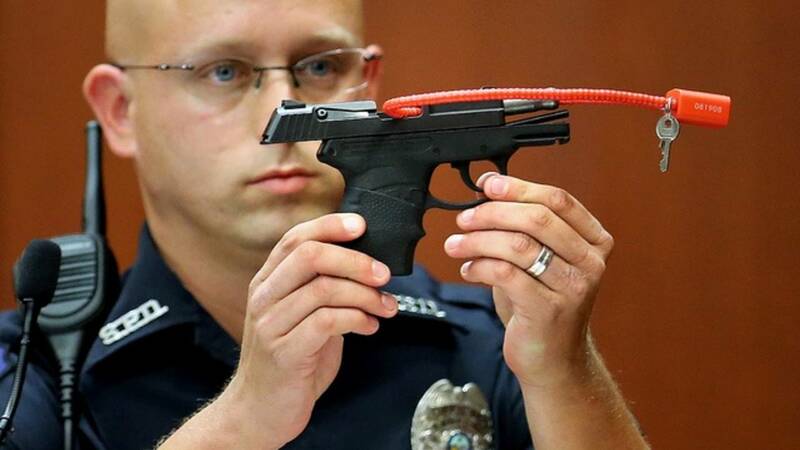 She is a Seminole County Sheriff fingerprint examiner and testified she analyzed a latent print lift from Zimmerman's gun, but didn't find anything conclusive. 29. Sonja Boles-Melvin testified on July 3. 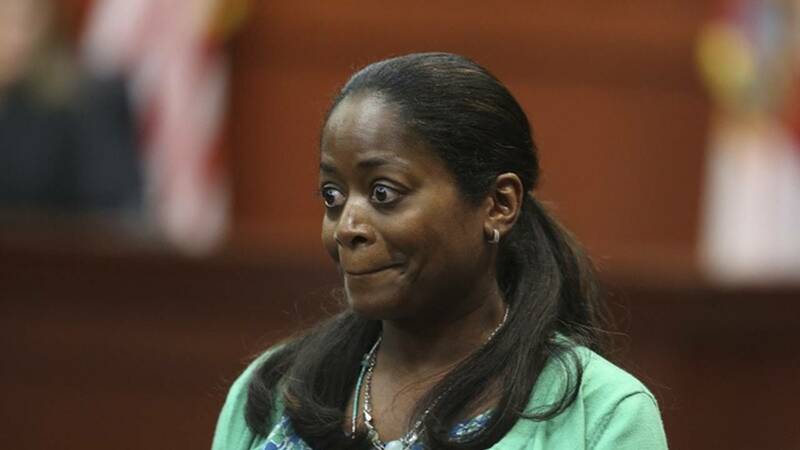 She is the Seminole State College registrar who introduced Zimmerman's college records. 30. Lt. Scott Kearns testified on July 3. 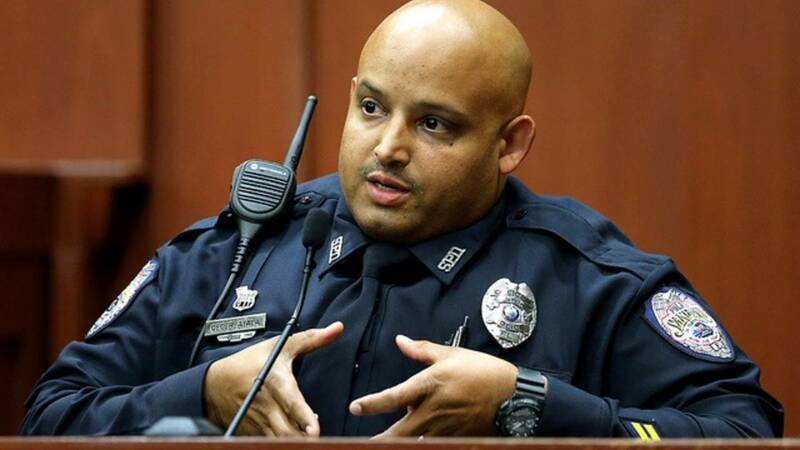 He is a lieutenant with Prince William County police, where Zimmerman applied to be a police officer and was rejected. 31. U.S. Army Capt. Alexis Carter testified on July 3. 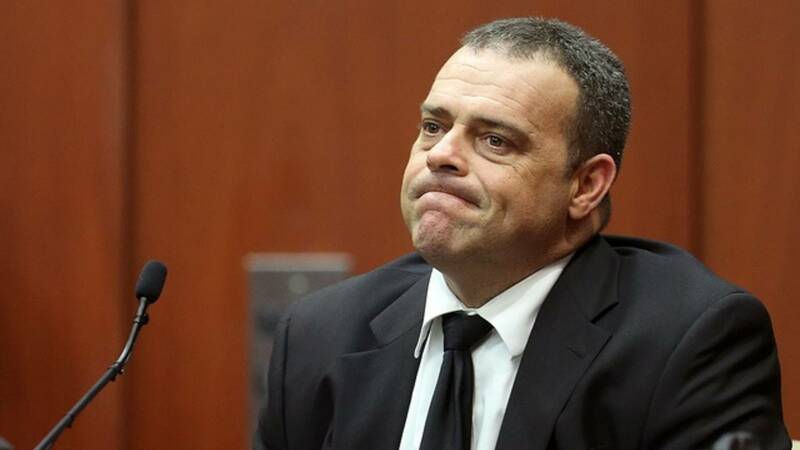 He was Zimmerman's criminology professor at Seminole State College and testified that Zimmerman received an "A" in his class. 32. Jim Krzenski testified on July 3. He is with Sanford Police Department administrative services and showed records from Zimmerman's ridealong with Sanford police. 33. 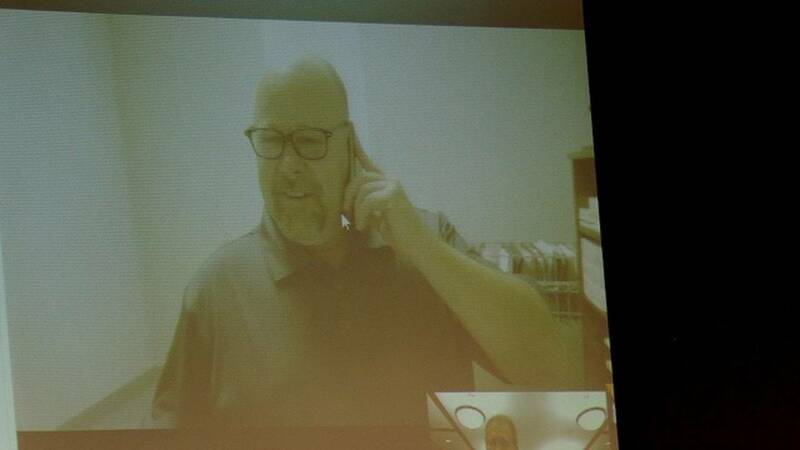 Scott Pleasants testified on July 3. 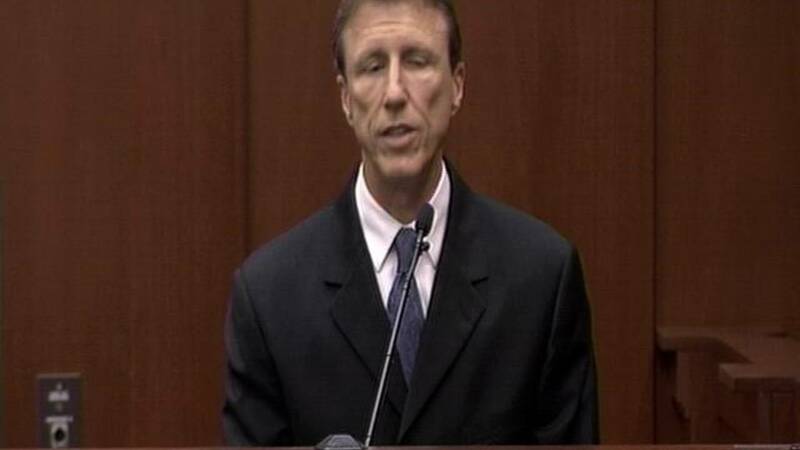 He was Zimmerman's Seminole State College professor and testified about Zimmerman's involvement in his online class. 34. Amy Siewert testified on July 3. 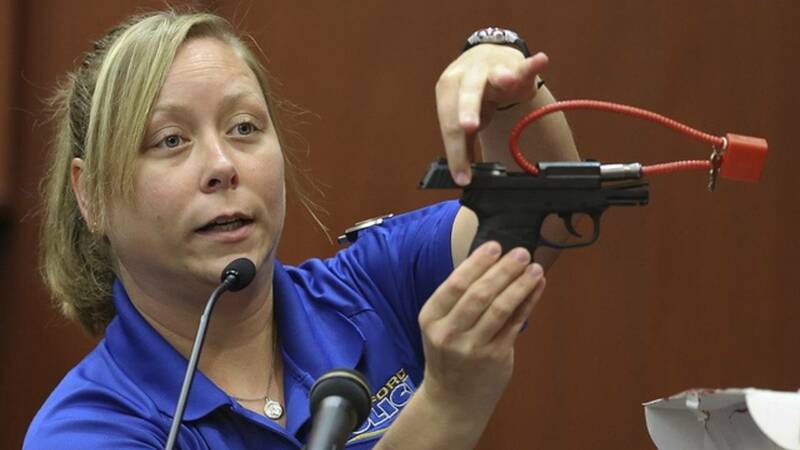 She is a forensic technologist and Florida Department of Law Enforcement firearms analyst. 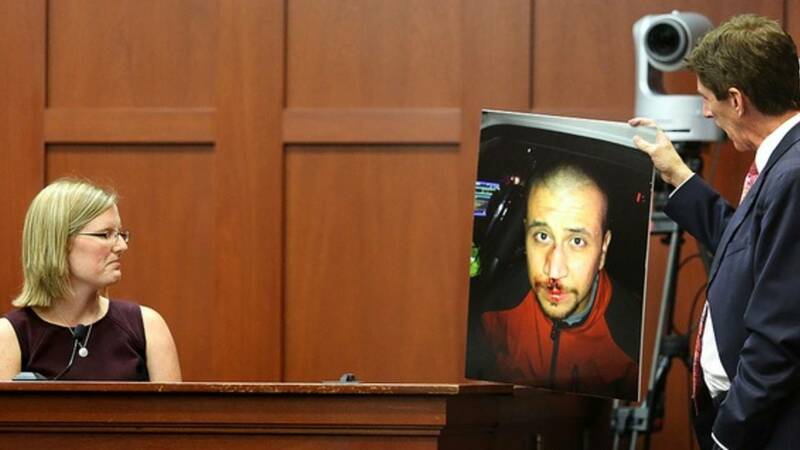 She testified about her foresnic findings on Martin's clothing of gun powder and about Zimmerman's gun. 35. 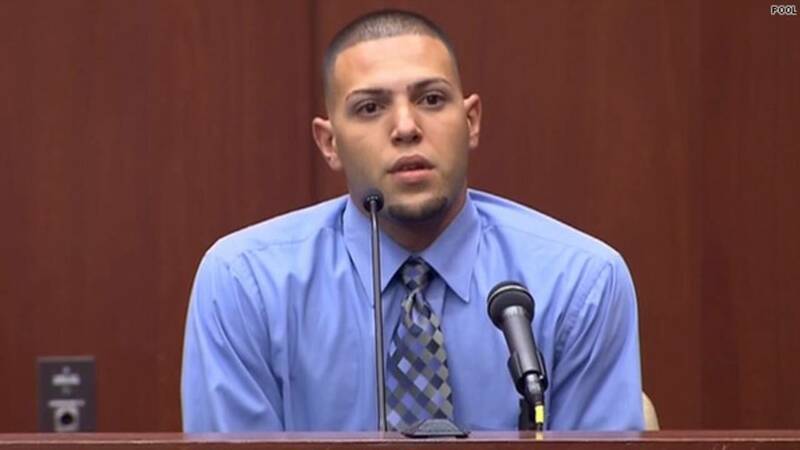 Anthony Gorgone testified on July 3. Gorgone is a FDLE DNA analyst. 36. 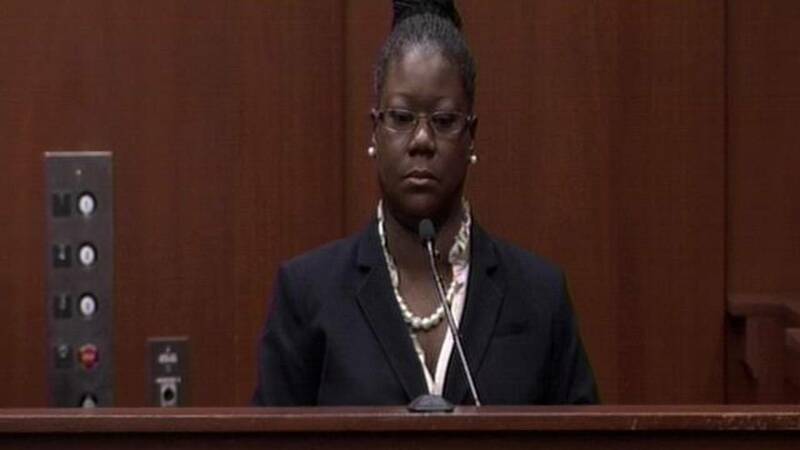 Sybrina Fulton testified on July 5. Fulton is Martin's mother and testified that her son was the one screaming in the background of the 911 calls. 37. Jahvaris Fulton testified on July 5. He is Martin's brother and testified that it was Martin screaming in the background of the 911 calls. 38. 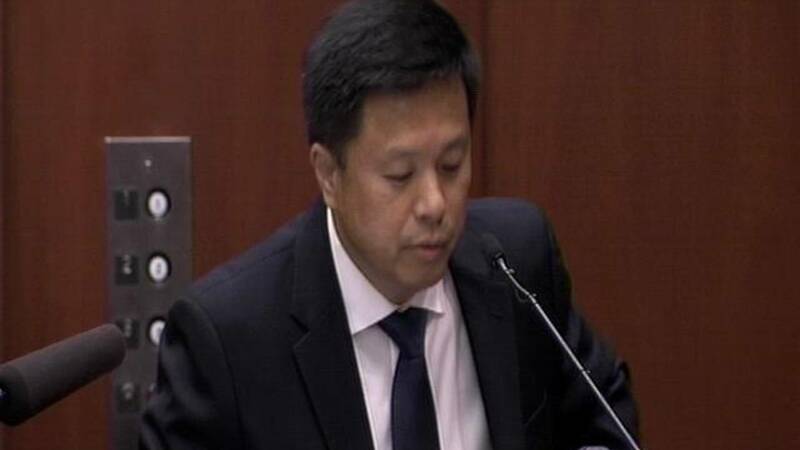 Dr. Shiping Bao testified on July 5. He is the medical examiner who completed Martin's autopsy.